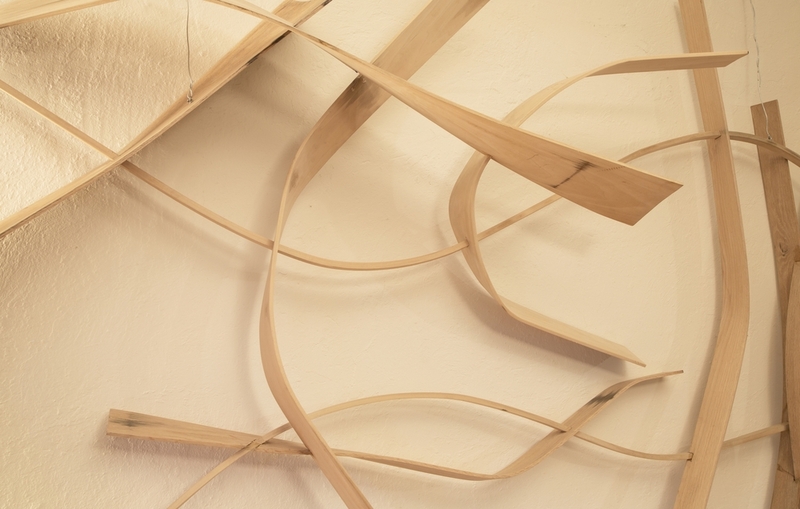 Lejarraga Studio was asked to design and fabricate a bentwood sculpture for A. Bauer Independent Porsche dealership for Oakland's Art Murmur. 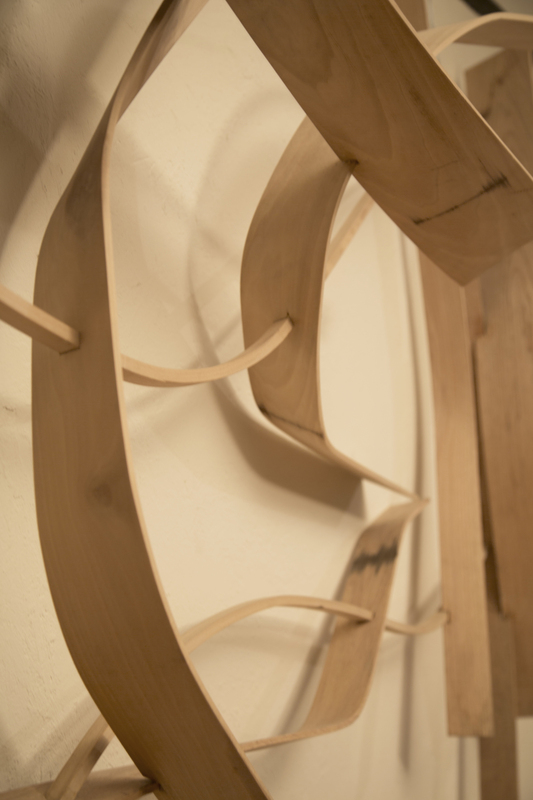 To create the wall mobile, we heated strips of Maple, Poplar and Oak in a custom steambox and bent them against metal posts. Metal oxidation against the wood created abstract black stains that add to the rhythm of the work.